​Arlington brings visitor information directly to you with helpful services right in the neighborhoods where you're staying! When you’re out on the go, you can access the StayArlington website, where you’ll find up-to-the-minute info on dining, shopping, events and attractions, as well as Google Maps directions to locations throughout Arlington and Washington, D.C.
You can also stop by our Mobile Visitors Center. 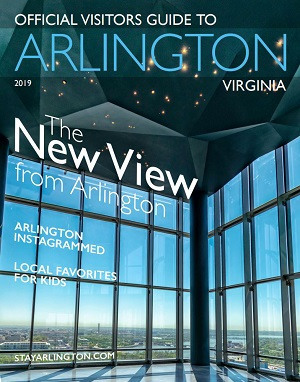 From March through November*, the staffed vehicle is near Metro stations in five of Arlington's neighborhoods to provide visitors with shopping, dining, sightseeing and entertainment information. In addition to picking up tourism materials and getting personalized guidance for exploring the capital region, you can have a team member arrange dinner or theater reservations. Mondays from 9 a.m. to 3 p.m., 18th St. S. at S. Bell St.
Tuesdays from 8 a.m. to 1 p.m., N. Stuart St. at Fairfax Dr.
Wednesdays from 9 a.m. to 1 p.m., S. Hayes St. at 12th St. S.
Thursdays from 8 a.m. to 1 p.m., N. Lynn St. at Wilson Blvd. Fridays from 9 a.m. to 1 p.m., 18th St. S. at S. Bell St.
For additional information, please call our toll-free visitors line at (800) 677-6267 weekdays between 9 a.m. and 5 p.m. or our hotel reservations line at (877) 504-8054 for exclusive offers. *Except on Federal holidays; during off-peak periods of December, January and February; and during extremely hot or cold weather.